How do we go Beyond Investing? In today’s world, investments have become a commodity that can be obtained through any number of resources. We view investments as a tool to help our clients achieve all their hopes and dreams. Our process begins with understanding what’s important to the client. We are a resource in every area of our client’s financial life. If it has to do with money, we want the first call to be to us so we can help guide you through an ever expanding, complex world of choices. At Granite Bay Wealth Management, we believe in a client centered approach to asset management. We begin with an in depth consultation and, when appropriate, by preparing a comprehensive financial plan. Our goal is to ensure that every client has a similar level of world class service with a plan that is uniquely theirs. Granite Bay Wealth Management was founded in 2006 by Joseph Skees and Paul Stanley. After more than ten years working at three major Wall Street firms, Joe and Paul realized that to truly focus on the best interest of their clients, they needed to start an independent firm. Perhaps just as important as managing investments is managing investor behavior. We work closely with our clients to develop a long term financial plan and make sure they stay focused on it through the years. 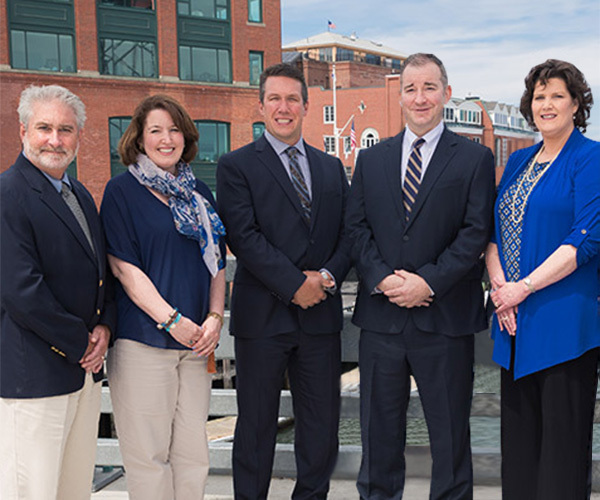 We are located at 767 Islington Street in the beautiful seacoast community of Portsmouth, NH. Just an hour north of Boston and an hour south of Portland.